There are lots of Spanish tile roofs in Southwest Florida. There are lots of hip roofs and broken up roof surfaces, too. These present some challenges, but as this picture shows, pretty much anything is possible. With three different panel lengths in two banks of panels, there is complex plumbing, but it gets the job done – the pool is warm! Mediterranean style roofing is very popular in Naples, Bonita Springs, Southwest Cape Coral, and other areas throughout Southwest Florida. 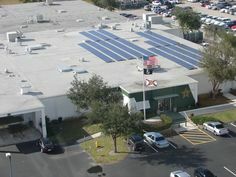 Solar Pool Heating Systems can easily be mounted on barrel tile roofs, sometimes known as Spanish tile or clay tile. 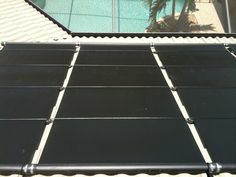 Methods depend on the type of panel being installed. The procedure is the same for flat tiles and is generally the same for all profiles of rounded tile roofs. 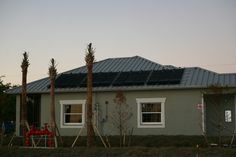 This installation method provides a secure and long lasting solar pool heat system on a barrel tile roof!